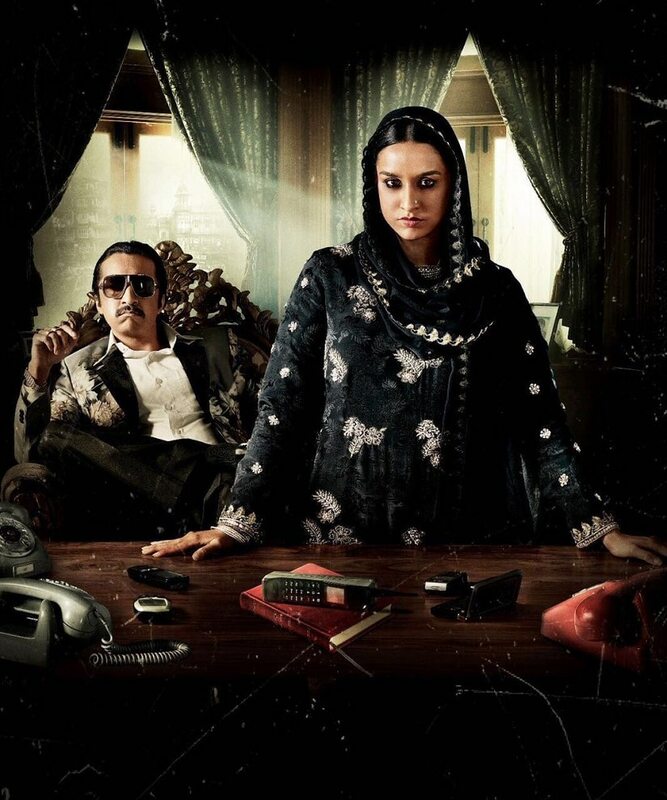 Apoorva Lakhia, who is back into direction after four years, had initially set out to make a film on the dreaded underworld don Dawood Ibrahim but when he met his sister Haseena Parkar he felt her’s would be a far more compelling story to tell. “Haseena was this innocent girl from a family of criminals. She suffered a lot, not because of who she is but who her brother is. I was fascinated by this woman's amazing journey and I proposed that we make a film on her instead," said Lakhia. Haseena 'aapa' was said to be one of the most feared women in Mumbai. She rose to power in the world of crime when her husband Ismail Parkar was gunned down by Arun Gawli's gang in 1991. Once Siddhanth was on board, Lakhia said that it became a bit easier to get Shraddha, and “she took narrations with no questions asked”. “The most amazing thing about Shraddha was that she never questioned like how others would. That how she would play a mother of four and mother of even a 25- year- old son. That shows how confident she is as an actress and what she wants to do with her career," said Lakhia, who had seen her film Haider few days before meeting her. "I felt confident about her because she had played the role of a Muslim girl (in Haider) so effortlessly," said the director. But Shraddha was not the first choice to play Haseena. The director had earlier approached Sonakshi Sinha when Siddhanth was already finalised. “Sonakshi was doing Force 2 at that time and her co-star John Abraham was injured during the shoot. Sonakshi had to complete that film but as a result our film was getting delayed. Finally she told me to go ahead with another actress. Shraddha was totally my second choice. I had been waiting for two years to make it,” said Lakhia. Lakhia further revealed that the industry people were quite surprised with the casting. “Initially they were skeptical but after the first look came out, and further when the trailer was out, everybody was like – ‘Wow, Shraddha's a good choice!’” he said. Going by Lakhia's filmography, his cinema has always been male-oriented, considering that he has explored the world of gangsters and criminals in his films like Shootout at Lokhandwala, Mission Istanbul and Zanjeer. Also, he has never had an established female lead in any of his films so far. So in every which way he has broken his rules by casting one of the top Bollywood actresses to play his protagonist. “I haven’t directed a woman in a full-fledged role but then I never thought of Shraddha’s character as a typical Bollywood heroine. She had to behave and pretty much act like a woman in a man’s world. She had to hold on to that power making even men scared of her. She’s scary, intimidating and plays a very strong character,” said Lakhia. The director said that he and his team did a lot of research for the film for two years and that they have given both sides of the story. "When you are making a film on a grey character, it is very important that as filmmakers we show a certain responsibility. We have spoken to police, lawyers, judges, collected transcripts of certain cases, we have spoken to people who have interrogated her. After collecting all the material we decided what should be included in the script and what can be discarded," he said. After briefing Shraddha for six months before starting the shoot, the actress took one month off to do her research. “We would take her to Nagpada in burqa where she would meet people, get familiar with Haseena’s old house, the restaurant where her husband worked...We put in enough research on how the character would grow into being intimidating. We spoke about scenes when she would cry, when she won’t cry, or not cry at all, or be totally confused, and Shraddha would come on sets fully prepared. She had gotten into her character completely. At times she would call me to say that she was looking too beautiful to play the part and needed a make-up artist to deglam her look," said Lakhia. Incidentally, the film clashes with Lakhia’s close buddy Sanjay Dutt's comeback vehicle, Bhoomi. Dutt has been part of many Lakhia films such as Shootout At Lokhandwala, Zanjeer, Dus Kahaniyan and Ek Ajnabee. Originally Haseena Parkar was supposed to release in July but it was postponed twice and now it releases on the same day as Dutt’s film, on 22 September.